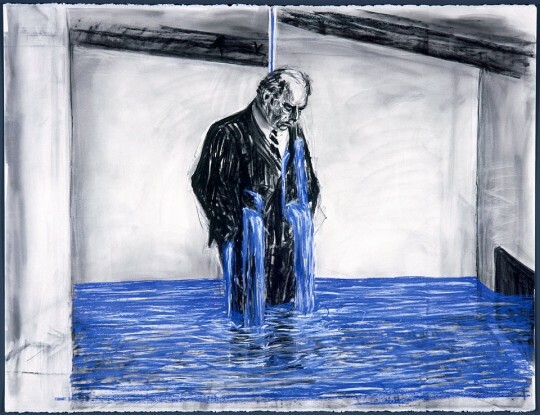 A munificence of Minor White and the revelation of the object through contemplation could be found in the lecture by William Kentridge. As an artist you must keep repeating and constructively playing and something else, some new idea, some new way of looking at the world may emerge. 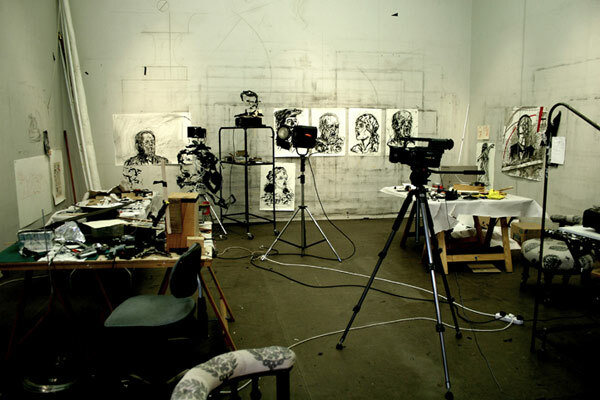 As a glimpse into the working methodology of one of the worlds great artists the lecture was fascinating stuff! Images in this posting are used under fair use for commentary and illustration of the lecture notes. No copyright breach is intended. © All rights remain with the copyright holder. My additions to the text can be found in [ ] brackets. Eidophusikon (The Eidophusikon was a piece of art, no longer extant, created by 18th century English painter Philip James de Loutherbourg. 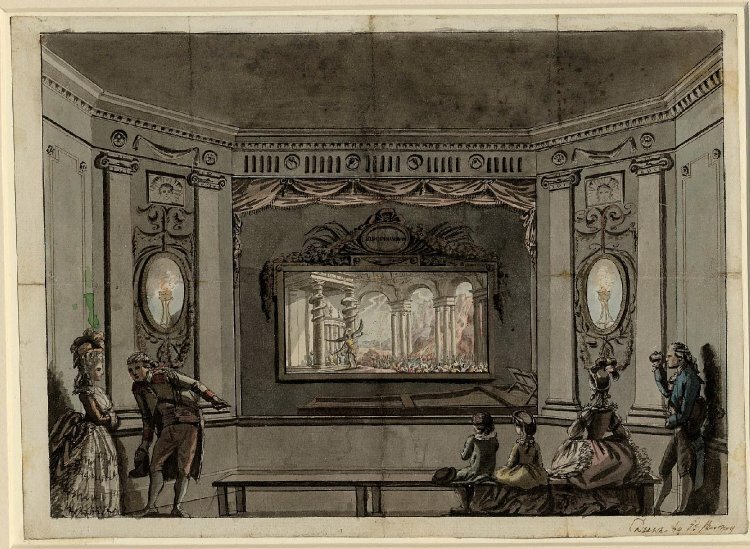 It opened in Leicester Square in February 1781.Described by the media of his day as “Moving Pictures, representing Phenomena of Nature,” the Eidophusikon can be considered an early form of movie making. The effect was achieved by mirrors and pulleys. All work against the time of the audience e.g. the quick change artist may take 3 seconds, the sunset in a Georges Méliès film may take 2 minutes instead of 2 hours. The technology /scrims / screens happen at different speeds but the different times become one in the finished film. There is an elision of time: appearances / disappearances. Stopping time [changing a scene, changing clothing etc…], starting time again. The sedimented gaze of the early camera. The slow chemicals meant that the object had to wait under the camera’s gaze for minutes. 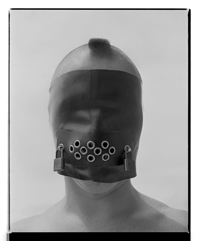 People were held in place by stiff neck braces to capture the trace of their likeness. Congealed time. On the other hand, in cinema, a tear forward becomes a repair in reverse. By rolling the film in reverse there is a REVERSAL of time, a REMAKING of the world – the power to be more than you are – by reversing to perfection. You throw a book or smash a plate: in reverse they become perfect again, a utopian world. YOU MUST GIVE YOURSELF OVER TO PLAY! Giving yourself over to what the medium suggests, you follow the metaphor back to the surface. Following the activity [of play] back to its root. Projecting forwards, projecting backwards. There is endless rehearsal, constant repetition, then discovering the nature of the final shot or drawing to be made. New ideas get thrown around: leaning into the experience, the experiment, the repetition, the rehearsal. New thoughts will arise being led by the body in the studio NOT in the mind. Not conceptual but the feeling of the body walking in the studio. The physical action as the starting point not the concept. What the body suggests is the construction of an image. There are different degrees of tension in these performances. What do they suggest? This reverse osmosis from one state to another? 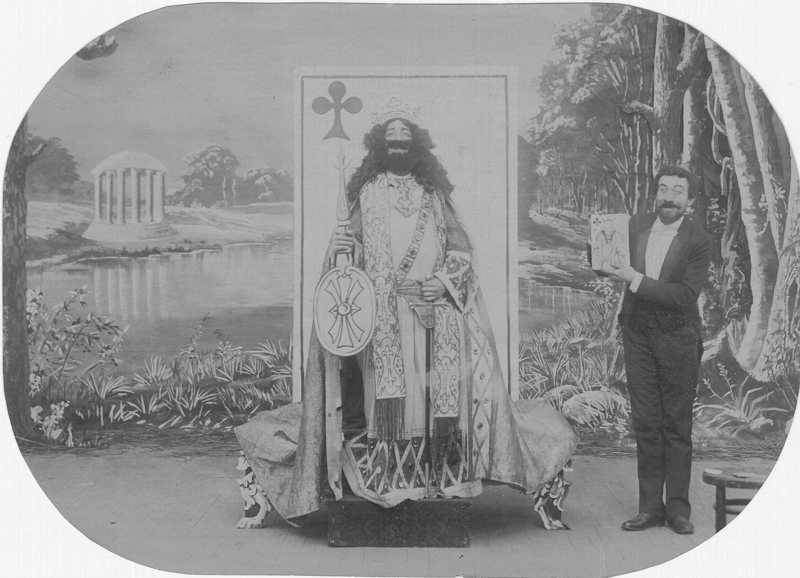 Pre-cinematic devices – a process of seeing in the world, of looking. Produces a reconfigured seeing, the invisible made [moving] visible. 3D world made into a 2D image put back into 3D by our brains. The nature of binocularity, of depth perception. We see an illusion of depth, a construction by the eyes. Our brain is a muscle combining the two images. Depth of Field (DOF): focusing at different distances, we are inside the field of the image. Peripheral vision is blanked off; we look through a magnifying glass. A machine for demonstrating seeing. B/ Caught in time [as the action goes around and around] and wanting to get out of it! THIS IS CRITICAL – THE ACTION OF REPETITION IS IMPORTANT! In the reordering, in the crack, something else may emerge, some new idea may eventuate. The tearing of time. There are erotics built into the language of the etching, but there is also a logic built into the machine used for etching. The Proof print, arriving at the first state. Going on the journey from artist as maker to artist as viewer through the mechanism of the etching press. “A Claude glass (or black mirror) is a small mirror, slightly convex in shape, with its surface tinted a dark colour. 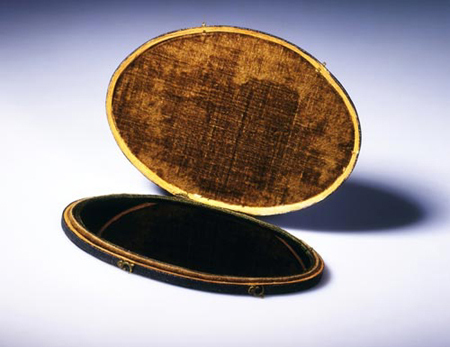 Bound up like a pocket-book or in a carrying case, black mirrors were used by artists, travellers and connoisseurs of landscape and landscape painting. Black Mirrors have the effect of abstracting the subject reflected in it from its surroundings, reducing and simplifying the colour and tonal range of scenes and scenery to give them a painterly quality).” From Wikipedia. Claude Glass, manufactured in England, 18th century. V & A. A counter intuitive way of drawing; turning 2D into 3D. The landscape has no edge, like a carrousel. A LINK TO THE ENDLESS CIRCLING AND WALKING AROUND THE STUDIO! 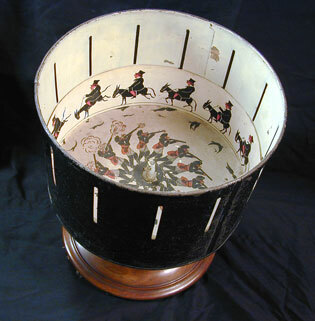 In the studio you gather the pieces together like a kind of Zoetrope. You may arrive at a new idea, a new starting point. Repetition, going around and around your head (at four in the morning!). There must be a truce between the artist as maker and the artist as viewer. As in earlier times, you walk the cloisters, you promenade. You find the walk that is the prehistory of the drawing, that is the prehistory to the work. A multiple, fragmented, layered performance of walking. You are trying to find the grammar of the studio – the necessary stupidity. Making a space for uncertainty. The conscious suppression of rationality. 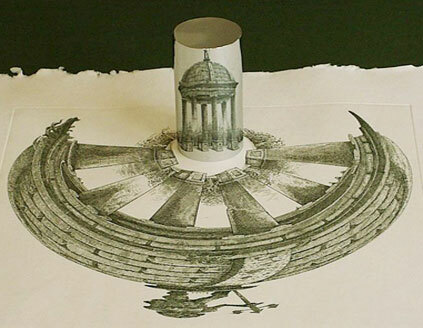 At some point, emerging, escpaping the Zoetrope, from the physical making, something will be revealed. The spaces open up by the stupidities. Something new emerges. THIS IS THE SPACE OF THE STUDIO.